Tech, software development and Data Science is currently thriving in Dublin. The biggest companies in tech and a very dynamic startup community, and with R&D labs developing the next generation technology and software. 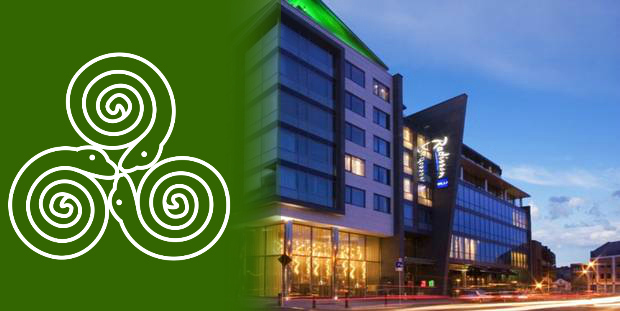 To meet the demands of that crowd, PyConIE, Ireland’s largest indigenous software development conference, was run late October from the Radisson Blue hotel, Dublin. With speakers and attendees flying in from all over the world, the PyConIE conference got to see some big names and share that knowledge. PyConIE has been running in Dublin for eight years now, and 2017 was the biggest year yet, with over 40 speakers, nearly 400 attendees, two tracks and two workshops covering everything from Data Science to developing in Python, to tools and even to tech culture. Speakers were represented from around the world, and from Ireland’s tech scene – where there were speakers from the Dublin tech scene, and even winners from the DatSci awards. Saturday evening there was food, drinks and a quiz – all sponsored by Tenable! While Python started out powering traditional backend websites, it’s popularity has now exploded into Machine Learning and Data Science. Talks and workshops covered everything in the ecosystem – from starting development in Python to using tools in the Python ecosystem like the web framework Django. And there were more generic talks on programming. Sean O’Donnell from Diamond sponsor RapidRatings gave an excellent keynote talk on how to rewrite legacy code-bases. His example was in his own company, migrating over to Python. Rewriting is not recommended – it can be much more expensive and time-consuming, but Sean outlined strategies that can make it work. Keynote speaker Brandon Rhodes gave a wonderful talk on getting unstuck when programming – programmers can get ‘writers block’ too! One speaker, Neal Ó Riain, even talked about a language created in Irish using Python. Over the past ten years, Python has come into its own in Data Science and machine learning. In 2017, there are many tools and libraries available to help. PyCon talks and workshops covered everything from recommender systems to neural networks to Natural Language Programming (NLP). The applications are huge. Just one example – Shane Lynn from EdgeTier talked about how his company use NLP and neural networks to gain better understandings of customer behaviour. On real-life examples, Shane was able to query the capital of Paris from a model trained from the contents of Wikipedia using NLP. Another great example, DatSci award winner Siobhan Grayson gave a talk graph analysis to analyze the relationships between characters in all 7 Star Wars scripts. Tech has a bad image as not being diverse or inclusive, especially in 2017. Inclusivity at PyConIE was very much on show from the start with a diverse lineup of speakers, and live transcriptions on the main track talks for the hard of hearing. Representing Women in Tech, speakers covered some of the barriers to entry into technology for women. The Sunday keynote speaker, Tracy Osborne, gave her experiences and thoughts on this. Tracy started studying software engineering in college after growing up with a love of technology. After struggling with the course content and getting put down by college professors, she switched to an arts degree. After college, she moved back into tech by developing her websites, using Python and web technologies such as Django. Tracy is now a founder of her own company, a successful author of several UI design books and keynote speaker, travelling around the world sharing her experiences. Tray’s key message in her talk was there is no ‘one true path’ in software engineering. Some people don’t suit the very rigid course content taught in college. Everyone has learning styles that best suit themselves. That maybe it’s time for colleges to recognise that. Python as a development tool has come into its own in so many different fields – web development has been around for years. Python is one of the go-to tools for Machine Learning and Data Science. The fact that PyConIE has been running for eight consecutive years is a testimony to that. With tech so big in Dublin, it’s so refreshing to have the conference cover so many angles in Python. It’s not just the technology side, but tech culture and Women in Tech. With companies like Google, Facebook and PyCon sponsor Zalando doing so much work in the field, Ireland is very well placed to be hosting development conferences like PyCon well into the future. Looking forward to PyConIE 2018!